Recently, we announced the launch of a new AI research team in our Paris office. And today DeepMind has also announced a new AI research presence in Paris. We are excited about expanding Google’s research presence in Europe, which bolsters the efforts of the existing groups in our Zürich and London offices. As strong supporters of academic research, we are also excited to foster collaborations with France’s vibrant academic ecosystem. Our research teams in Paris will focus on fundamental AI research, as well as important applications of these ideas to areas such as Health, Science or Arts. They will publish and open-source their results to advance the state-of-the-art in core areas such as Deep Learning and Reinforcement Learning. Our approach to research is based on building a strong connection with the academic community; contributing to training the next generation of scientists and establishing a bridge between academic and industrial research. We believe that both objectives are key to fostering a healthy research ecosystem that will flourish in the long term. These ideas are very much aligned with some of the recommendations that Fields Medalist and member of French Parliament Cédric Villani is putting forward in his report on AI to the French government. Additionally, we are pleased to announce that one of the world’s leading experts in computer vision, Cordelia Schmid, will begin a dual appointment at INRIA and Google Paris. These kind of appointments, together with our Visiting Faculty program, are a great way to share ideas and research challenges, and utilize Google's world-class computing infrastructure to explore new projects at industrial scale. France has a long tradition of research and educational excellence, and has a very dynamic and active machine learning community. This makes it a great place to pursue our goal of building AI-enabled technologies that can benefit everyone, through fundamental advances in machine learning and related fields. 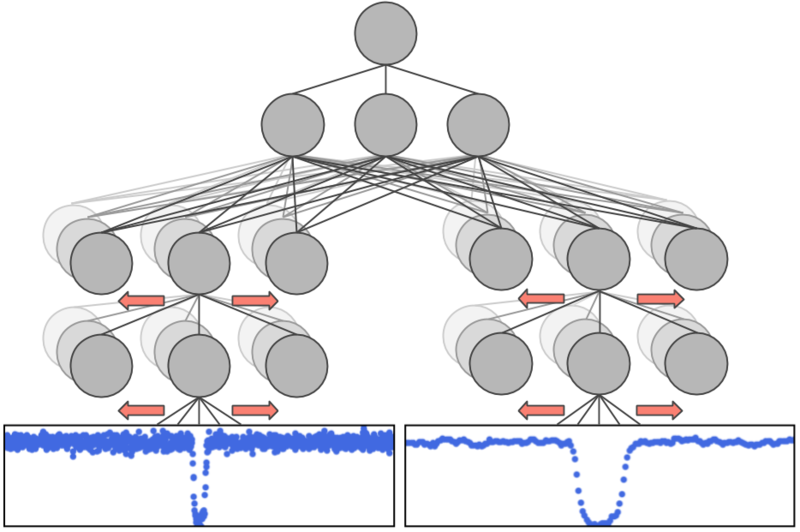 At Google, we're excited about the recent rapid progress of neural network-based text-to-speech (TTS) research. In particular, end-to-end architectures, such as the Tacotron systems we announced last year, can both simplify voice building pipelines and produce natural-sounding speech. This will help us build better human-computer interfaces, like conversational assistants, audiobook narration, news readers, or voice design software. To deliver a truly human-like voice, however, a TTS system must learn to model prosody, the collection of expressive factors of speech, such as intonation, stress, and rhythm. Most current end-to-end systems, including Tacotron, don't explicitly model prosody, meaning they can't control exactly how the generated speech should sound. This may lead to monotonous-sounding speech, even when models are trained on very expressive datasets like audiobooks, which often contain character voices with significant variation. Today, we are excited to share two new papers that address these problems. Our first paper, “Towards End-to-End Prosody Transfer for Expressive Speech Synthesis with Tacotron”, introduces the concept of a prosody embedding. We augment the Tacotron architecture with an additional prosody encoder that computes a low-dimensional embedding from a clip of human speech (the reference audio). We augment Tacotron with a prosody encoder. The lower half of the image is the original Tacotron sequence-to-sequence model. For technical details, please refer to the paper. This embedding captures characteristics of the audio that are independent of phonetic information and idiosyncratic speaker traits — these are attributes like stress, intonation, and timing. At inference time, we can use this embedding to perform prosody transfer, generating speech in the voice of a completely different speaker, but exhibiting the prosody of the reference. Text: *Is* that Utah travel agency? The embedding can also transfer fine time-aligned prosody from one phrase to a slightly different phrase, though this technique works best when the reference and target phrases are similar in length and structure. Reference Text: For the first time in her life she had been danced tired. Synthesized Text: For the last time in his life he had been handily embarrassed. Excitingly, we observe prosody transfer even when the reference audio comes from a speaker whose voice is not in Tacotron's training data. Text: I've Swallowed a Pollywog. This is a promising result, as it paves the way for voice interaction designers to use their own voice to customize speech synthesis. 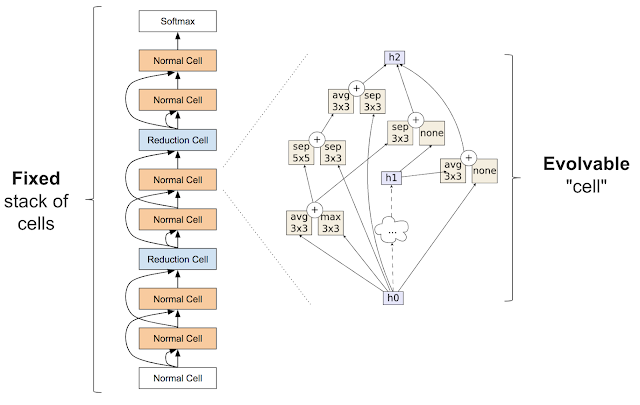 You can listen to the full set of audio demos for “Towards End-to-End Prosody Transfer for Expressive Speech Synthesis with Tacotron” on this web page. Despite their ability to transfer prosody with high fidelity, the embeddings from the paper above don't completely disentangle prosody from the content of a reference audio clip. (This explains why they transfer prosody best to phrases of similar structure and length.) Furthermore, they require a clip of reference audio at inference time. A natural question then arises: can we develop a model of expressive speech that alleviates these problems? In our second paper, “Style Tokens: Unsupervised Style Modeling, Control and Transfer in End-to-End Speech Synthesis”, we do just that. Building upon the architecture in our first paper, we propose a new unsupervised method for modeling latent "factors" of speech. The key to this model is that, rather than learning fine time-aligned prosodic elements, it learns higher-level speaking style patterns that can be transferred across arbitrarily different phrases. The model works by adding an extra attention mechanism to Tacotron, forcing it to represent the prosody embedding of any speech clip as the linear combination of a fixed set of basis embeddings. We call these embeddings Global Style Tokens (GSTs), and find that they learn text-independent variations in a speaker's style (soft, high-pitch, intense, etc. ), without the need for explicit style labels. Model architecture of Global Style Tokens. The prosody embedding is decomposed into “style tokens” to enable unsupervised style control and transfer. For technical details, please refer to the paper. Text: United Airlines five six three from Los Angeles to New Orleans has Landed. 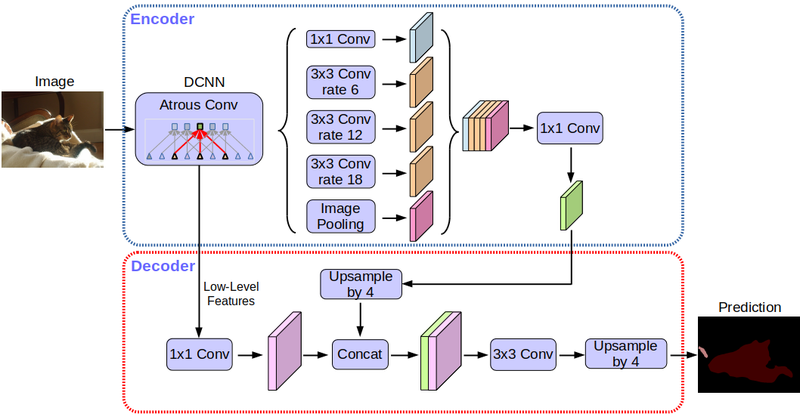 The text-independent nature of GSTs make them ideal for style transfer, which takes a reference audio clip spoken in a specific style and transfers its style to any target phrase we choose. To achieve this, we first run inference to predict the GST combination weights for an utterance whose style we want to imitate. We can then feed those combination weights to the model to synthesize completely different phrases — even those with very different lengths and structure — in the same style. Finally, our paper shows that Global Style Tokens can model more than just speaking style. When trained on noisy YouTube audio from unlabeled speakers, a GST-enabled Tacotron learns to represent noise sources and distinct speakers as separate tokens. This means that by selecting the GSTs we use in inference, we can synthesize speech free of background noise, or speech in the voice of a specific unlabeled speaker from the dataset. This exciting result provides a path towards highly scalable but robust speech synthesis. You can listen to the full set of demos for "Style Tokens: Unsupervised Style Modeling, Control and Transfer in End-to-End Speech Synthesis" on this web page. We are excited about the potential applications and opportunities that these two bodies of research enable. In the meantime, there are new important research problems to be addressed. We'd like to extend the techniques of the first paper to support prosody transfer in the natural pitch range of the target speaker. We'd also like to develop techniques to select appropriate prosody or speaking style automatically from context, using, for example, the integration of natural language understanding with TTS. Finally, while our first paper proposes an initial set of objective and subjective metrics for prosody transfer, we'd like to develop these further to help establish generally-accepted methods for prosodic evaluation. These projects were done jointly between multiple Google teams. Contributors include RJ Skerry-Ryan, Yuxuan Wang, Daisy Stanton, Eric Battenberg, Ying Xiao, Joel Shor, Rif A. Saurous, Yu Zhang, Ron J. Weiss, Rob Clark, Fei Ren and Ye Jia. We’ve just completed another round of the Google Faculty Research Awards, our annual open call for proposals on computer science and related topics such as machine learning, machine perception, natural language processing, and quantum computing. Our grants cover tuition for a graduate student and provide both faculty and students the opportunity to work directly with Google researchers and engineers. Congratulations to the well-deserving recipients of this round’s awards. If you are interested in applying for the next round (September 2018 deadline), please visit our website for more information. You can find award recipients from previous years here. Many scientific imaging applications, especially microscopy, can produce terabytes of data per day. These applications can benefit from recent advances in computer vision and deep learning. In our work with biologists on robotic microscopy applications (e.g., to distinguish cellular phenotypes) we've learned that assembling high quality image datasets that separate signal from noise is a difficult but important task. 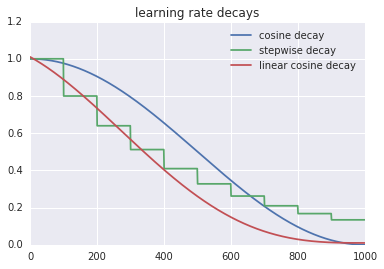 We've also learned that there are many scientists who may not write code, but who are still excited to utilize deep learning in their image analysis work. A particular challenge we can help address involves dealing with out-of-focus images. Even with the autofocus systems on state-of-the-art microscopes, poor configuration or hardware incompatibility may result in image quality issues. Having an automated way to rate focus quality can enable the detection, troubleshooting and removal of such images. An interesting challenge we overcame was that there are often "blank" image patches with no objects, a scenario where no notion of focus quality exists. 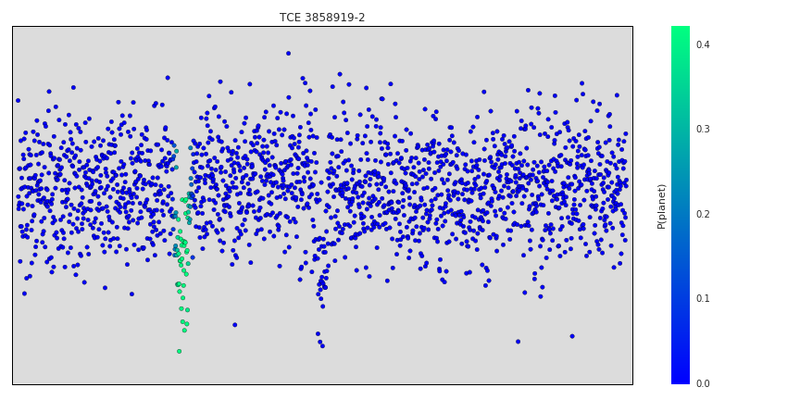 Instead of explicitly labeling these "blank" patches and teaching our model to recognize them as a separate category, we configured our model to predict a probability distribution across defocus levels, allowing it to learn to express uncertainty (dim borders in the figure) for these empty patches (e.g. predict equal probability in/out-of-focus). Solving large-scale optimization problems often starts with graph partitioning, which means partitioning the vertices of the graph into clusters to be processed on different machines. The need to make sure that clusters are of near equal size gives rise to the balanced graph partitioning problem. In simple terms, we need to partition the vertices of a given graph into k almost equal clusters, while we minimize the number of edges that are cut by the partition. This NP-hard problem is notoriously difficult in practice because the best approximation algorithms for small instances rely on semidefinite programming which is impractical for larger instances. This post presents the distributed algorithm we developed which is more applicable to large instances. We introduced this balanced graph-partitioning algorithm in our WSDM 2016 paper, and have applied this approach to several applications within Google. Our more recent NIPS 2017 paper provides more details of the algorithm via a theoretical and empirical study. Our algorithm first embeds vertices of the graph onto a line, and then processes vertices in a distributed manner guided by the linear embedding order. We examine various ways to find the initial embedding, and apply four different techniques (such as local swaps and dynamic programming) to obtain the final partition. The best initial embedding is based on “affinity clustering”. Affinity clustering is an agglomerative hierarchical graph clustering based on Borůvka’s classic Maximum-cost Spanning Tree algorithm. As discussed above, this algorithm is a critical part of our balanced partitioning tool. The algorithm starts by placing each vertex in a cluster of its own: v0, v1, and so on. Then, in each iteration, the highest-cost edge out of each cluster is selected in order to induce larger merged clusters: A0, A1, A2, etc. in the first round and B0, B1, etc. in the second round and so on. The set of merges naturally produces a hierarchical clustering, and gives rise to a linear ordering of the leaf vertices (vertices with degree one). The image below demonstrates this, with the numbers at the bottom corresponding to the ordering of the vertices. 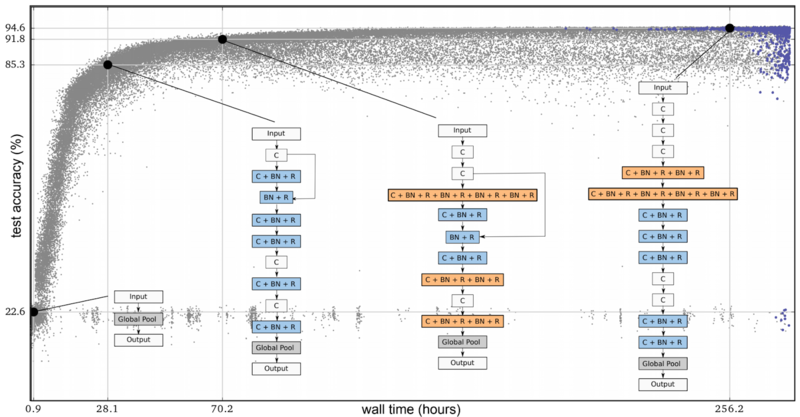 Our NIPS’17 paper explains how we run affinity clustering efficiently in the massively parallel computation (MPC) model, in particular using distributed hash tables (DHTs) to significantly reduce running time. This paper also presents a theoretical study of the algorithm. We report clustering results for graphs with tens of trillions of edges, and also observe that affinity clustering empirically beats other clustering algorithms such as k-means in terms of “quality of the clusters”. This video contains a summary of the result and explains how this parallel algorithm may produce higher-quality clusters even compared to a sequential single-linkage agglomerative algorithm. In comparing our algorithm to previous work in (distributed) balanced graph partitioning, we focus on FENNEL, Spinner, METIS, and a recent label propagation-based algorithm. We report results on several public social networks as well as a large private map graph. For a Twitter followership graph, we see a consistent improvement of 15–25% over previous results (Ugander and Backstrom, 2013), and for LiveJournal graph, our algorithm outperforms all the others for all cases except k = 2, where ours is slightly worse than FENNEL's. The following table presents the fraction of cut edges in the Twitter graph obtained via different algorithms for various values of k, the number of clusters. The numbers given in parentheses denote the size imbalance factor: i.e., the relative difference of the sizes of largest and smallest clusters. Here “Vanilla Affinity Clustering” denotes the first stage of our algorithm where only the hierarchical clustering is built and no further processing is performed on the cuts. Notice that this is already as good as the best previous work (shown in the first two columns below), cutting a smaller fraction of edges while achieving a perfect (and thus better) balance (i.e., 0% imbalance). The last column in the table includes the final result of our algorithm with the post-processing. We apply balanced graph partitioning to multiple applications including Google Maps driving directions, the serving backend for web search, and finding treatment groups for experimental design. For example, in Google Maps the World map graph is stored in several shards. The navigational queries spanning multiple shards are substantially more expensive than those handled within a shard. Using the methods described in our paper, we can reduce 21% of cross-shard queries by increasing the shard imbalance factor from 0% to 10%. As discussed in our paper, live experiments on real traffic show that the number of multi-shard queries from our cut-optimization techniques is 40% less compared to a baseline Hilbert embedding technique. This, in turn, results in less CPU usage in response to queries. In a future blog post, we will talk about application of this work in the web search serving backend, where balanced partitioning helped us design a cache-aware load balancing system that dramatically reduced our cache miss rate. 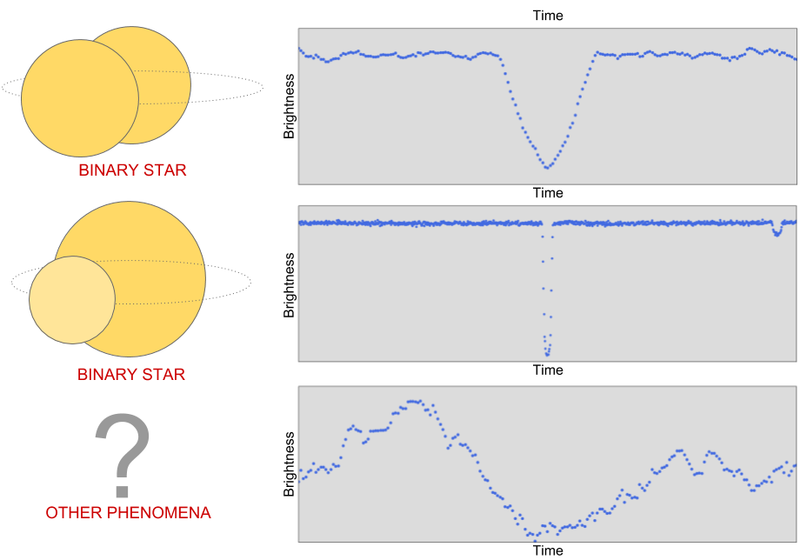 We especially thank Vahab Mirrokni whose guidance and technical contribution were instrumental in developing these algorithms and writing this post. We also thank our other co-authors and colleagues for their contributions: Raimondas Kiveris, Soheil Behnezhad, Mahsa Derakhshan, MohammadTaghi Hajiaghayi, Silvio Lattanzi, Aaron Archer and other members of NYC Algorithms and Optimization research team. To help confront these hurdles, we are excited to announce the 2018 iNaturalist Challenge (iNat-2018), a species classification competition offered in partnership with iNaturalist and Visipedia (short for Visual Encyclopedia), a project for which Caltech and Cornell Tech received a Google Focused Research Award. This is a flagship challenge for the 5th International Workshop on Fine Grained Visual Categorization (FGVC5) at CVPR 2018. 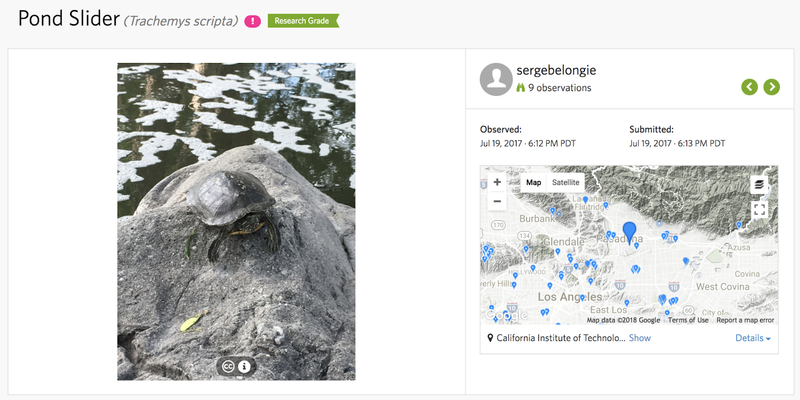 Building upon the first iNaturalist challenge, iNat-2017, iNat-2018 spans over 8000 categories of plants, animals, and fungi, with a total of more than 450,000 training images. We invite participants to enter the competition on Kaggle, with final submissions due in early June. Training data, annotations, and links to pretrained models can be found on our GitHub repo. Distribution of training images per species for iNat-2017 and iNat-2018, plotted on a log-linear scale, illustrating the long-tail behavior typical of fine-grained classification problems. Image Credit: Grant Van Horn and Oisin Mac Aodha. We’d like to thank our colleagues and friends at iNaturalist, Visipedia, and FGVC5 for working together to advance this important area. At Google we would like to thank Hartwig Adam, Weijun Wang, Nathan Frey, Andrew Howard, Alessandro Fin, Yuning Chai, Xiao Zhang, Jack Sim, Yuan Li, Grant Van Horn, Yin Cui, Chen Sun, Yanan Qian, Grace Vesom, Tanya Birch, Celeste Chung, Wendy Kan, and Maggie Demkin.